"A dry martini," he said. "One. In a deep champagne goblet." "Oui, monsieur." "Just a moment. Three measures of Gordon's, one of vodka, half a measure of Kina Lillet. Shake it very well until it's ice-cold, then add a large, thin slice of lemon peel. Got it?" Bond laughed. "When I'm . . . er . 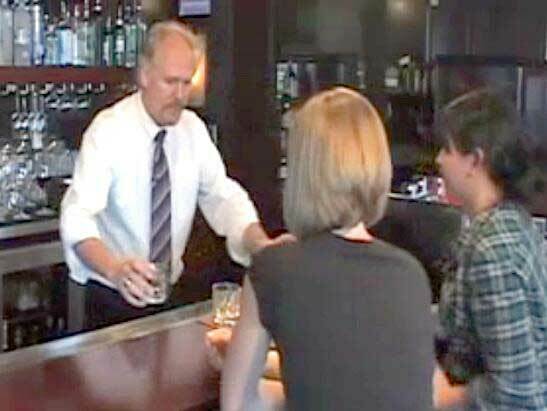 . . concentrating," he explained, "I never have more than one drink before dinner. But I do like that one to be large and very strong and very cold and very well-made. I hate small portions of anything, particularly when they taste bad. This drink's my own invention. I'm going to patent it when I can think of a good name." And thus the stuff of legends was born. In Casino Royale, James Bond pulls this drink out of thin air. 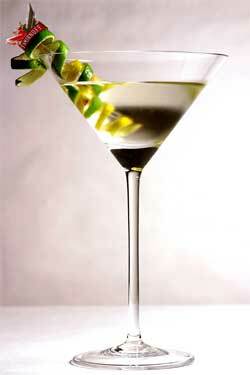 Of course, a Vesper isn't Bond's usual cocktail of choice (the martini), in that it uses both gin and vodka, Kina Lillet instead of the usual dry vermouth, and a lemon peel instead of an olive. But the secret to the Vesper is the Lillet Blanc (Lillet has long since dropped the Kina as part of their name). Lillet is a citrusy, grassy, wine-like drink; in this case, used instead of dry vermouth. It's generally an apertif - in France, you might drink it on the rocks with a wedge of orange - but in the US it's commonly used as a cocktail ingredient. Lillet is aged much like wine and comes in red or white. For the Vesper, you'll need white.